We’d love your help. Let us know what’s wrong with this preview of He Wrote Her Every Day by Gail Lindenberg. In 1944, James William Hendrickson, Jr. , a young munitions worker, received the devastating news that h A love story and true account of the Second World War. Perfect for fans of personal memoirs, military history and historical biographies. In 1944, James William Hendrickson, Jr. , a young munitions worker, received the devastating news that his fighter-pilot brother, Bill, had been shot down over Germany and taken as a prisoner-of-war. Unable to sit idly by waiting, Jim was determined to enlist and bring Bill home. Like many war-time newlyweds, the separation was hard on the couple. But Jim made Irene a promise. He would write to her every single day while they were apart. And it was a promise he would keep. Though Jim became increasingly disillusioned with Army life, and found himself in the middle of horrific battle scenes, his connection to Irene through the letters kept him alive. Jim’s original letters to Irene, the author’s conversations with her mother, and a dramatic retelling of Jim’s army days, guided Gail Lindenberg to write He Wrote Her Every Day, which is above all a heart-warming love story, showing one man’s determination to survive the horrors of the Second World War in the hopes that he would be able to return home to the woman he loved. To ask other readers questions about He Wrote Her Every Day, please sign up. This memoir was so much better than a love story, as it was told via a soldier's letters home to his love that he promised to write to everyday he was away. 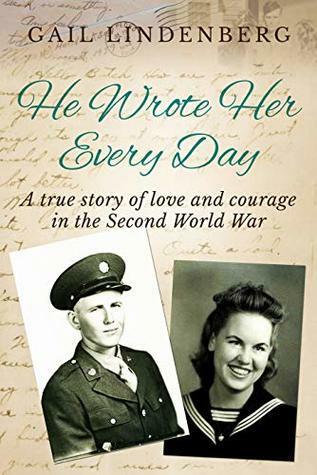 The letters not only captured the love that he had for the woman he was writing to, but they gave insight into what daily life was like for a soldier during World War II. When Jim Hendrickson sets off for war in 1944 he leaves with a promise to his young bride. He will write her every day while he’s away. Jim manages to fulfill that promise. He writes Irene faithfully, even if that means writing at night in the latrine or on the road. There is nothing more important to him than his beautiful bride. This is Jim’s story of love and war as he treks across Germany in search of his brother, while his heart remains bac Three stars: An unforgettable snapshot of history. *He Wrote Her Every Day is a lovely book, a snapshot of history if you will. I loved getting to read Jim’s letters back home to his wife Irene. His letters are beautiful, tender and heartfelt. If you are wanting to learn more about what life was like for a soldier during WWII this is a nice little book to read. I also loved the history behind the book, and learning more about Jim and Irene. *The book incorporates Jim’s actual letters to Irene, interspersed with a bit of Irene’s view point and his daughter’s attempt to recreate Jim’s experience. I thought the letters were the best part, and I liked that that they were real and true. *I appreciated that no matter what Jim was going through, for the most part, his letters remain upbeat and positive. Jim was an outstanding man. He never bragged or shared the ugly parts of war, instead he tries to keep everything optimistic for Irene back home. The more I learned about Jim and Irene, the more I loved them. They are true American heroes. *I loved that this was a historical account of one soldier’s view of history. It is hard to believe that the men and women who served in WWII are quickly leaving us. Those that survive are in their nineties now, and sadly so many of them are dying without sharing their stories. I love that this author took the time to share her parents experience and their love story. *Even though I enjoyed the book, I found myself wishing that the format was more cohesive. The majority of the book consists of Jim’s actual letters, but then there are sections where Gail, his daughter, tries to recreate Jim’s experience. I thought she did a good enough job, but I found myself wishing that the book remained a first hand account. *I wished that we got more of Irene’s perspective. There were many times in the letter when Jim is answering questions or refers to things that Irene wrote in her letters. Unfortunately, Irene’s letters are lost as Jim was not able to save them all. I wanted to know more about what Irene was thinking and feeling. *I finished the book also wanting more of the author’s perspective. I wish she had filled in some of the blanks with her impressions and experiences of her parents and her extended family. *I also found myself wanting far more information on Irene and Jim’s life after the war. I was particularly perplexed that Jim’s relationship with his brother Bill after the war was not mentioned at all. The actual letters included in this book were fascinating! I started the book thinking that that was what the whole thing was going to be because I love original letters/diaries/etc. but then the book wound up being an odd mashup of Jim's real letters and the author's semi-fictionalized narrative of what Jim did while overseas. I get what the author was going for, and I appreciate the creativity, but I found it to be a little too ambitious, especially when Irene's perspective was randomly brough The actual letters included in this book were fascinating! I started the book thinking that that was what the whole thing was going to be because I love original letters/diaries/etc. but then the book wound up being an odd mashup of Jim's real letters and the author's semi-fictionalized narrative of what Jim did while overseas. I get what the author was going for, and I appreciate the creativity, but I found it to be a little too ambitious, especially when Irene's perspective was randomly brought in at the very end. The author switches back and forth throughout the whole book between Jim's actual letters and her fictionalized narration (sometimes some present day first person segments where the author talks with her mom are sporadically included, too), but then for the last couple of chapters, she throws in Irene's view, which just doesn't seem to gel with the rest of the book. If Irene's narrative were going to be included at all, it would have felt more natural to be introduced to her from the very beginning. And honestly, I'm far more interested in Irene's experience throughout the war. She unexpectedly has twins while her husband is fighting at war, and she doesn't see him for over a year? Fascinating! I also think that if the book had gone from Irene's point of view, then the letters from Jim would have felt a bit more integrated. I hate how negative I sound in this review because I hate giving less than glowing responses, so I do want to reiterate that the letters were my favorite part of the whole thing, and I was really into the Author's Note at the very end that mentions the significance of Jim's letters in a social/cultural historic view of the European theater and how his letters are currently at the WWII museum in Louisiana. It's fascinating to think that that vast number of letters has become such an important part of WWII history from an American perspective, and I'm so happy for the author and her family as their loved one gets some much deserved recognition! 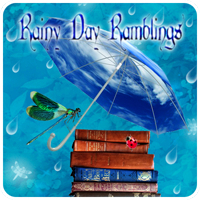 Gail Lindenberg clearly loves the subjects of her writing, and that's the most important thing because then it helps us (the readers) fall in love with her subjects, too. I received this book "He Wrote Her Every Day" from NetGalley and all opinions expressed are my own. Hard book to get into. I liked reading the letters but it sort of become boring after a while. The book just didn't hold my interest. This is a sweet story of Jim and Irene Hendrickson. It chronicles the experience of WWII through the eyes of Jim in letters that he sent to Irene while stationed in Germany. While the story was sweet, I felt that it lacked a “Wow” moment. I would have liked to have seen more from Irene’s perspective. More of a story behind the letters. I was provided this book by net galley for free in exchange for my honest review. GNAB Through the daily notes and letters sent home to his wife and family in 1944 by Private James William Hendrickson, Jr., and conversations between his wife and mother, we see WWII with it's many diverse experiences and personal sacrifices through the eyes of this family. It is presented very well, keeping you on the edge of your seat, and brings to those war facts you already know a softening, a sense of humanity often lost in the shuffle. This was an excellent addition to my History Researc GNAB Through the daily notes and letters sent home to his wife and family in 1944 by Private James William Hendrickson, Jr., and conversations between his wife and mother, we see WWII with it's many diverse experiences and personal sacrifices through the eyes of this family. It is presented very well, keeping you on the edge of your seat, and brings to those war facts you already know a softening, a sense of humanity often lost in the shuffle. This was an excellent addition to my History Research Shelf. It is a book I will want to read again, and savor the lessons presented there. I received a free electronic copy of this historical novel based on fact, told through letters and the memories of these left behind, from Netgalley, Gail Lindenberg, and Sapere Books in exchange for an honest review. Thank you all for sharing your hard work with me. In 1944, James William Hendrickson, Jr received the news that his fighter-pilot brother, Bill, had been shot down over Germany and taken as a prisoner-of-war. Then and there, Jim decided to enlist and bring his brother home even though that would mean leaving his new wife, Irene, behind. He made her a promise - he would write to her every day while he was away. Gail Lindenberg, their daughter, uses the original letters as well as conversations with her mother to dramatically retell their story - how one man was determined to survive the horrors of the Second World War to get back to the woman he loved. For me, this was so much more than a simple love story. Firstly we do see the pure love and devotion of one man to his wife, you can feel the adoration he has for her in the notes he wrote, you get the sense of her being his beacon of light in times that we know would have been hellish. There is more though, a first hand glimpse into the lives these soldiers had to lead on a daily basis albeit from the perspective of finding 'lighter' things to write home to his wife about and not detailing the absolute horror he must have been encountering. As I read through the letters and retelling of his story, I really was captivated by the unique descriptions of being in the army, his training and time spent travelling but also the camaraderie between soldiers that gave me a smile and is true testament to the strength of character Jim and his fellow officers had. This is a well written and cleverly put together memoir that lets us experience the war from a different perspective whilst giving us a beautiful story of love, separation and heroism. He Wrote Her Every Day is a compelling portrayal of sacrifice and love, with a behind the scenes look at World War II. Built around scores of letters written home, this touching memoir presents a detailed picture of the life, thoughts, and emotions of a young soldier, Jim, writing home to his beloved wife, Irene. His observations of army life, comradeship, and heroism offer an enthralling personal perspective on the events of World War II in Europe. From his cross country trek from a California He Wrote Her Every Day is a compelling portrayal of sacrifice and love, with a behind the scenes look at World War II. Built around scores of letters written home, this touching memoir presents a detailed picture of the life, thoughts, and emotions of a young soldier, Jim, writing home to his beloved wife, Irene. His observations of army life, comradeship, and heroism offer an enthralling personal perspective on the events of World War II in Europe. From his cross country trek from a California training camp, to his Atlantic crossing on the Queen Mary, to his combat in Europe and the early days of occupation, Jim strives to write a letter home daily, one which carefully omits the darker aspects of war. These letters, in effect, became a diary. This is one of the better WWII memoirs that I have read. Enjoying history, I have read a number of books regarding the war, along with hearing many stories from family members who served. Author Gail Lindenberg, Jim's daughter, has done an excellent job providing historical context about the era. I received a complimentary copy of this book from the publisher, through NetGalley. Opinions expressed in this review are completely my own. This is a wonderful memoir that really captures the lives of ordinary GIs during the latter stages of WW2. Not so much the fighting, but more the moving around, the boredom, the cameraderie and of course, the missing home. It's a lovely read in itself, but for anyone interested in researching the era it's an absolute must. I'd thoroughly recommend it. A lovely insight into one soldiers experience of being away from his home and family during WW2. This book shows the strength gained from hope and love in some of the darkest days of the 20th century. So beautifully written that you feel the pain of separation and live in hope of a safe return and happy ending. FULL DISCLOSURE: I was not asked to review this book and I purchased my own copy. I am interested in reading books about World War II which are based upon real letters since I have worked to transcribe and publish my own grandparents' letters as well. He Wrote Her Every Day is a tribute to James William Hendrickson, Jr., who served in the Army during World War II. Years later, author Gail Lindenberg received an old box containing her father’s letters from her widowed mother. The resulting book is FULL DISCLOSURE: I was not asked to review this book and I purchased my own copy. I am interested in reading books about World War II which are based upon real letters since I have worked to transcribe and publish my own grandparents' letters as well.